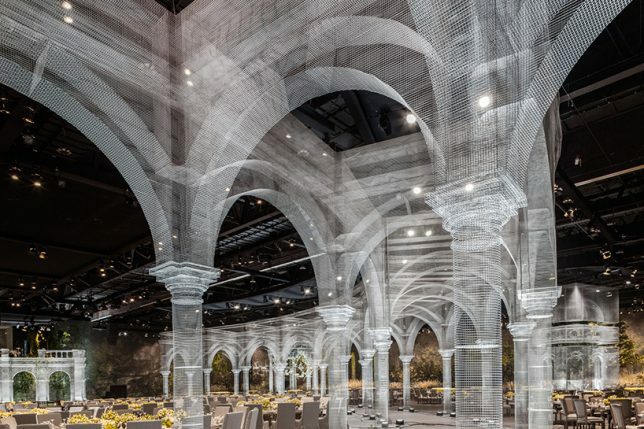 Seeming like a ghostly image of structures long gone overlaid onto the current reality, these wire mesh architectural creations arch over 75,000 square feet of event space in Abu Dhabi. 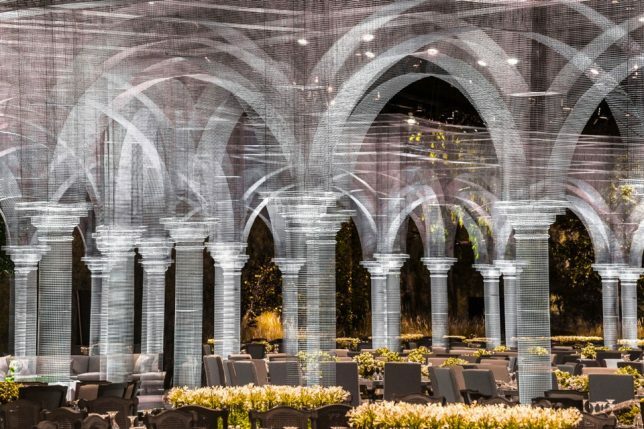 The way the mesh shifts between transparency and opacity depending on how it’s layered, paired with its grid pattern, gives it the look of a light-based projection, yet it’s physical and three-dimensional, crafted in full-scale skeletal form to suggest structures rather than bring them to fruition. 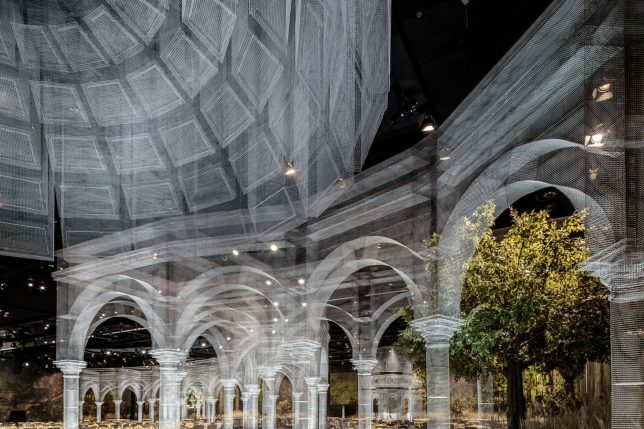 Artist Edoardo Tresoldi previously resurrected an ancient church in Puglia, Italy that had been destroyed by earthquakes in the 13th century right where it once stood, allowing visitors to get a sense of how the structure interacts with the site before and after its demise. 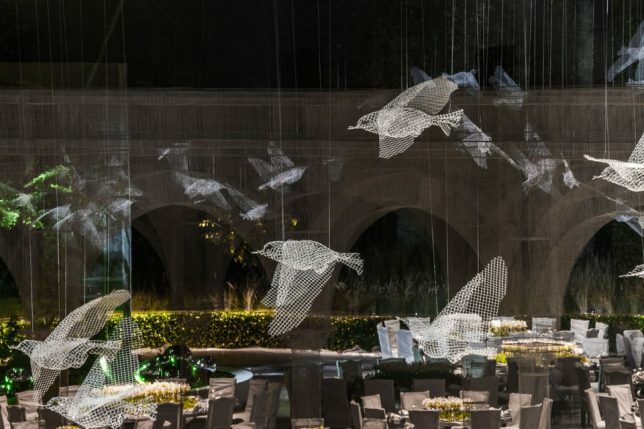 This time, Tresoldi sculpts a whole series of architectural sculptures, along with flying birds and cubes that hang suspended in midair. 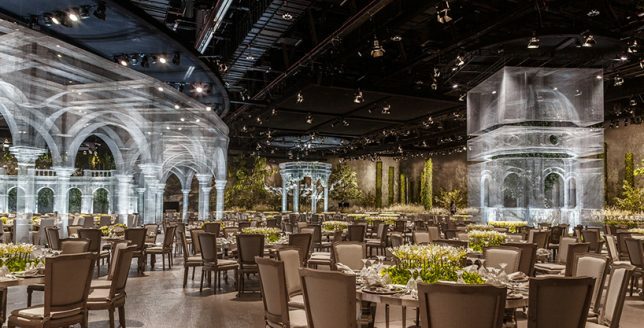 The Abu Dhabi installation acts as a decorative tableau for a royal event attended by 1,900 guests from all over the Middle East, and took three months to complete, representing the artist’s first time creating a large installation for an indoor space. 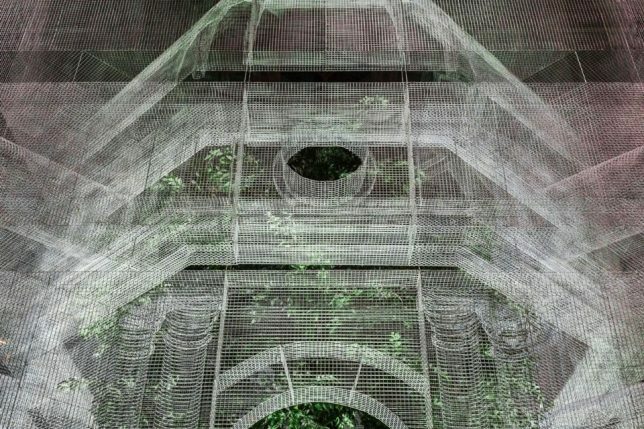 After the event, some of the structures will be moved and reassembled in public places across the UAE capital, including museums, parks and universities. 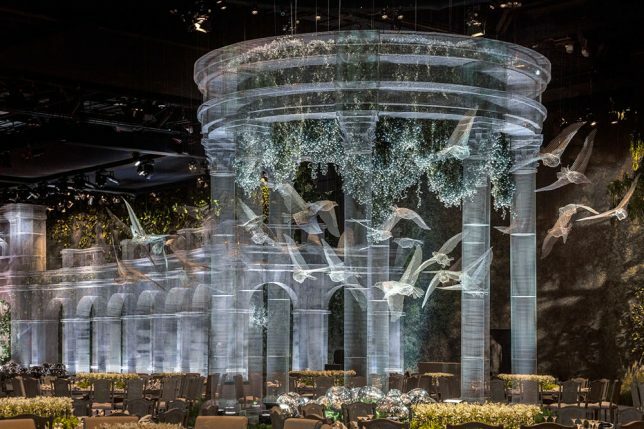 Many of these forms are reminiscent of previous Tresoldi works, including an archway used on a fashion runway, and a caged bird. 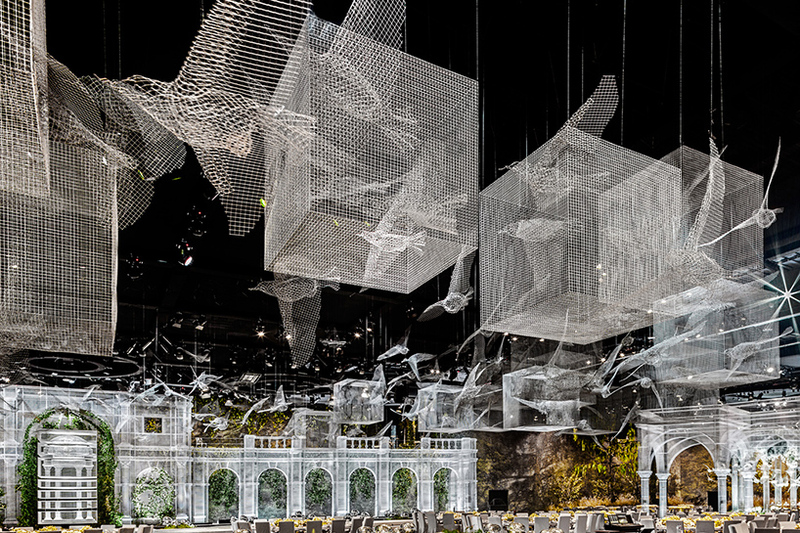 Tresoldi creates figurative wire mesh sculptures, as well. 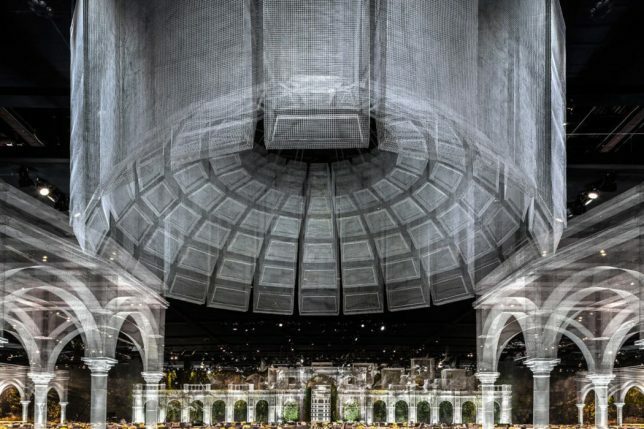 You can see the evolution of his process at his Behance profile.